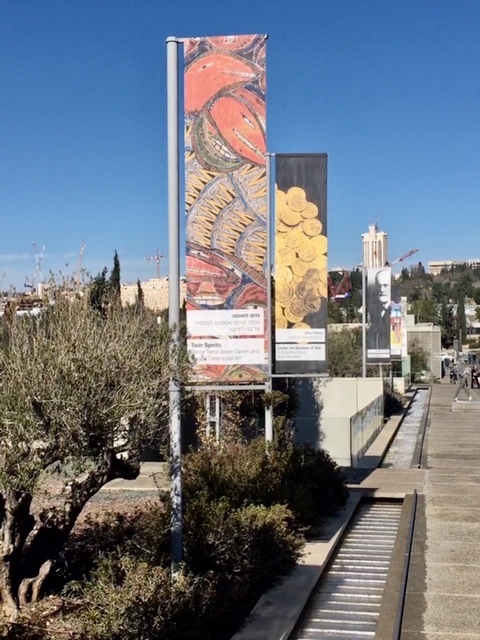 We are pleased to announce that the Twins Seven-Seven masterpiece, The Flying Snake Dog Flying Over the Red Skulls has found a place in the permanent collection of the Israel Museum in Jerusalem. The painting was exhibited at Indigo Arts on more than one occasion, including during our Africa Modern exhibit. The painting was the centerpiece of the Israel Museum's September special exhibit, Twin Spirits: Prince Twins Seven-Seven and Yoruba Ceremonial Art. Prince Twins Seven-Seven was born Taiwo Olaniyi Oyewale-Toyeje Oyelale Osuntoki in 1944 in Ijara, Nigeria. The sole survivor of seven successive sets of twins, he renamed himself Ibeji Meje-Meje, or Twins Seven-Seven. As the descendent of a royal lineage of the Yoruba people he later added the title of prince to his name. Twins started out as an itinerant singer and dancer before joining an art workshop led by expatriates Georgina and Ulli Beier in Oshogbo, Nigeria, in 1964. Although the traditional medium of African art is carving (Yoruba carvers are considered among the best in Africa), Twins took to painting immediately. While a modernist in style, he chose as his primary subject the rich religious and historical tradition of his people. Twins was one of the original artists of the famed Oshogbo School, which arose in the newly independent Nigeria of the early 1960s, and he became one of its stars. 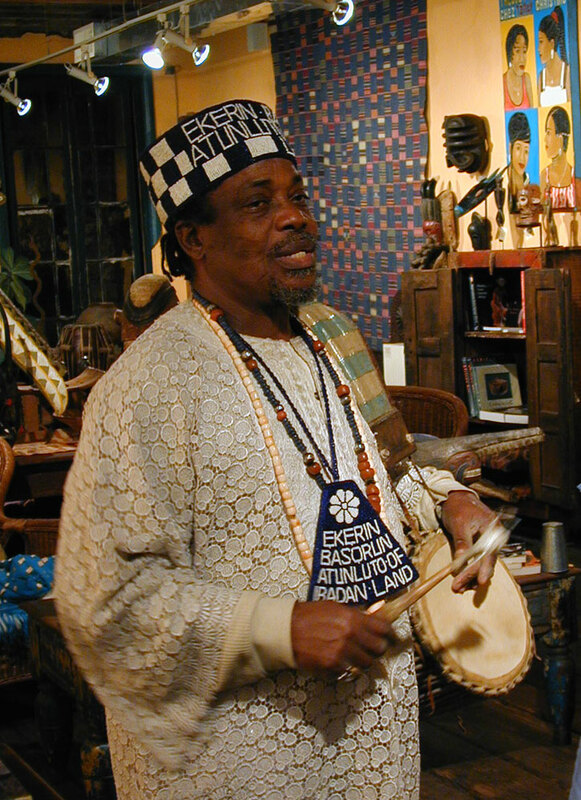 A prominent artist, bandleader, teacher, dancer, and actor, he was also an ardent spokesman for Yoruba culture, and his artistic output reflects a personal cosmology drawn from Yoruba myths and stories. Twins's highly individual technique reflects the physical manifestation of a universe of potent forces in a state of constant transformation. His images are complex, forms colliding with colors to reveal a mythological and poetic world that results from his singular dreams and powerful imagination. Most often he pictured the Yoruba spirits and deities, revealing the unseen forces of the universe and affirming his commitment to the old Yoruba faith. Twins Seven-Seven at Indigo Arts Gallery November 5, 2004 (Photograph © Anthony Hart Fisher 2004).